Justin Timberlake Will Voice a Gay Character On "The Cleveland Show"
NEW YORK (CBS) Justin Timberlake will play gay on TV for his next acting role. The pop singer turned emerging Hollywood actor is busily boosting his acting resume and will lend his voice in an upcoming episode of "Family Guy" spin-off "The Cleveland Show." He will play Paul, the boyfriend of Terry, as well as a "singing booger." "Terry [voiced by "Saturday Night Live" and "30 Rock" actor Jason Sudeikis] falls in love with a guy voiced by Justin," "Cleveland" creator Rich Appel told Us Weekly. Appel added that the 29-year-old star turns in a funny performance: "Justin is just hysterical!" 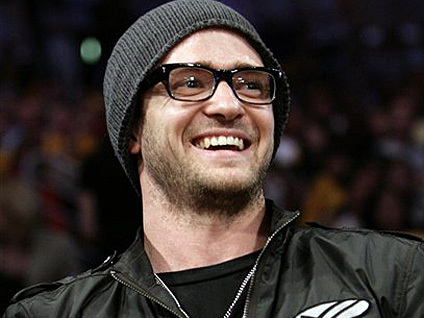 According to MTV News, Timberlake's voice-over work is just the latest in a range of roles for the singer-turned-actor. He has reportedly been offered a role opposite Amanda Seyfried in the sci-flick "I'm.mortal," in which people don't get older than age 25. The "Family Guy" episode is scheduled to air in February 2011.